View More In Key Tags. Material:hard plastic.Size:1.9" X0.8"(L X W).Key ring diameter:0.8".These plastic key tags feature write-on labels and window inserts for clear identification and easy viewing. Ideal for offices rental management companies storage facilities. 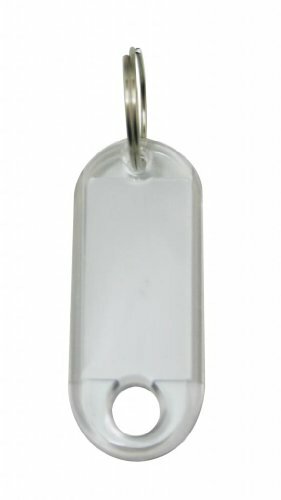 Ideal For Many Uses Bunches Of Keys, Luggage Tags, Memory Sticks, Name Tags For Your Pets, etc. If you have any questions about this product by Yongshida, contact us by completing and submitting the form below. If you are looking for a specif part number, please include it with your message.